Cambridge Melchior College provide educational solutions to foreign exchange students from China. Providing them with a full term expereince of English education such as English language. 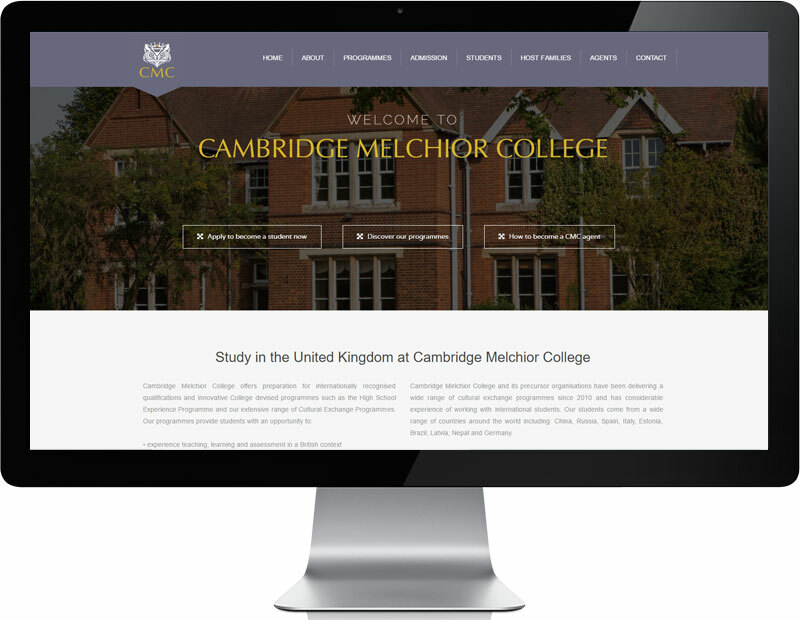 Cambridge Melchior College offers preparation for internationally recognised qualifications and innovative College-devised programmes and an extensive range of summer, spring and winter camp programmes. Our programmes provide students with the opportunity to Experience teaching, learning and assessment in a British context. Aimed at providing a content management system I set out using WordPress to provide an easy to use back-end system for CMC to edit content throughout the website. 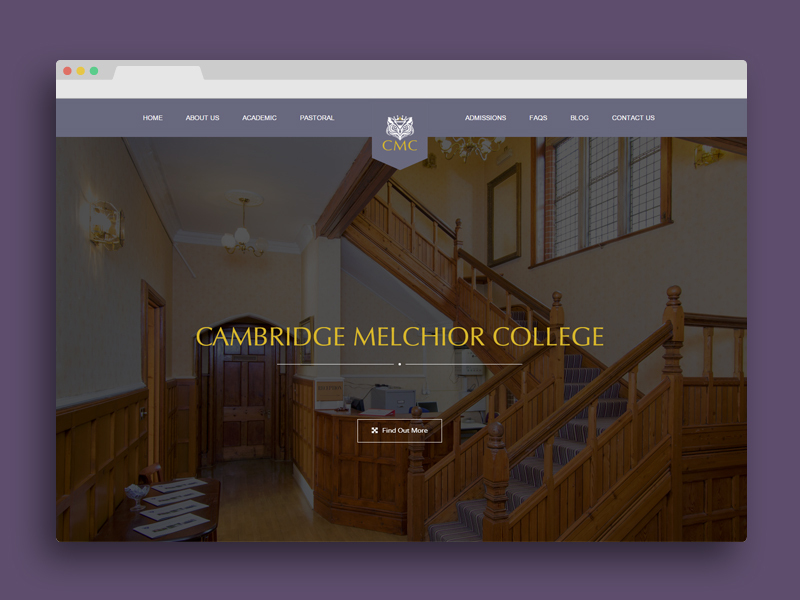 The design and look of the website reflects the traditional British boarding school which is exactly what Cambridge Melchior College wanted to achieve through the website design. CMC logo and branding was provided to portray a clear and distinguished branding that CMC could use on course material and educational leaflets to promote the school, the logo, represented by an Owl originates from the the “Wise Owl”, Melchior being one of the biblical wise men. The photography on the website highlights the fantastic building that is Cambridge Melchior College, so using large imagery is a way to create an instant eye-catching introduction. Tailored with the purple and gold highlights throughout the website focuses the user on key areas and keeps the feel of the website as prestigious and charming. The website is responsive to provide a wider audience that can view the website on mobile and tablet devices.